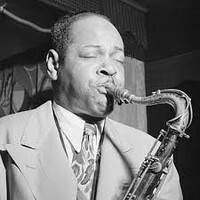 Coleman Hawkins (1904 - 1969) was an American jazz musician. He is considered the first great jazz-tenor-saxophonist.. He was one of the pioneers of jazz music and especially the saxophone given a firm place in jazz. Hence his nickname "father of the tenor saxophone. He started at the age of 5, however, the piano and later also on cello. On his ninth birthday he got one, then in the United States popular and cheap, C-melody sax. 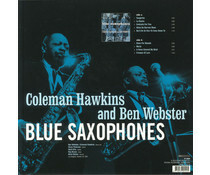 Although smaller than a tenor sax still a great instrument for a child, but the young Coleman was obsessed. Fellow saxophonist Lester Young, known as "Pres", commented in a 1959 interview with The Jazz Review: "As far as I'm concerned, I think Coleman Hawkins was the President first, right? As far as myself, I think I'm the second one." Miles Davis once said: "When I heard Hawk, I learned to play ballads."